Human societies depend on bees. In the UK, insect pollination is worth £400-500 million per year. In California, commercial beekeepers transport truckloads of honeybees to pollinate orchards on an industrial scale. Across the world, glasshouse production of tomatoes and other soft fruits depends on the supply of bumblebees commercially reared in the Netherlands, Belgium and Turkey. And yet, bee populations are in danger from a range of different diseases, including the well publicized Colony Collapse Disorder in which whole colonies disappear from bee hives without trace. The causes of bee decline are up for debate. Beekeeping practices, and the transport of different bee species around the world has led to the spread of disease, most notably the parasite Varroa destructor. Bees are also vulnerable to a range of viral and fungal infections. More controversially, the use of pesticides called neonicotinoids in agriculture, and the stress caused to bees used in large scale commercial pollination have been blamed for the disappearance of some bees. From the 16th century onwards, bees and beehives played a central role in arguments about political ideology. Observations of bees have led their admirers to note their obedience, thrift, industriousness, unity and self-sacrifice to the whole. Their colonies are like our cities, and their social organization, like ours, appears to be hierarchical. It is possible then to ask, what is it about bees that attracts our contemporary interest? Do we still see ourselves reflected in their worlds? To what extent do bees continue to inspire the way we imagine and build our future? In September, I began an 18 month research project on the anthropology of bees and beekeeping. I will be joined by a post-doctoral researcher, Kate Milosavljevic early in 2015. 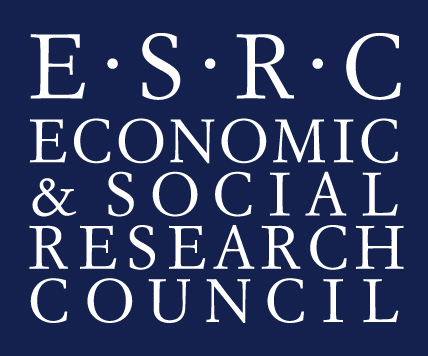 The £232k project is funded by the ESRC Transforming Social Sciences scheme. The research will take place in the UK, Denmark, the Netherlands and the USA. The rationale behind the project is that different ways of keeping bees inspire different ways of thinking about human societies, and to this end we will be investigating three distinct kinds of beekeeping. Our first case study will consider the use of bees in industrial agriculture for pollination. We will investigate commercial beekeepers in California who travel thousands of miles with their truck loads of bees to pollinate enormous single crop orchards, such as the million acres planted with almond trees in Central Valley. We also hope to visit the companies who commercially rear bumblebees in the Netherlands, and the soft fruit farmers who buy them. By necessity this kind of beekeeping depends on efficiency and economies of scale, and is part of a world that values industry, productivity and profit. The second case study will be of urban beekeepers in Denmark, London and Edinburgh. We will visit Bybi, a social enterprise project in Copenhagen that has trained formerly homeless people to become beekeepers on the roofs of corporations across the city. City beekeepers are contributing to a transformation in the way that we view nature in urban areas. Our towns and cities are no longer designated for humans alone, but are now recognized as multispecies environments. Our final case study will be of “barefoot” beekeepers and activists. Barefoot beekeeping promotes a natural approach, in which bees are kept in hives that are designed to be close to the way that bees live in the wild. They do not aim to extract the maximum amount of honey from bees, instead they endeavour to improve bee health and increase the bee population. They keep bees for the sake of the bees. Activists are involved in campaigning against the use of pesticides in agriculture, and against importing bees from overseas which bring in diseases, and compete with indigenous populations. In this last case study we ask, what kind of society this “green” approach to beekeeping envisages? We no longer find just one model for living in bee societies. Different approaches to beekeeping require different techniques and create different paths, or beelines, through the world for bees and for our own societies.